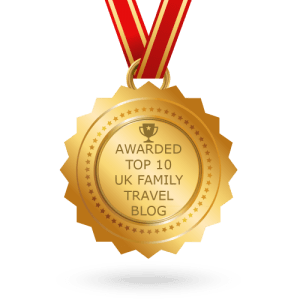 Family days out in Yorkshire – I am lucky to live in a fantastic place where there are so many fabulous family days out in Yorkshire to enjoy with the kids! 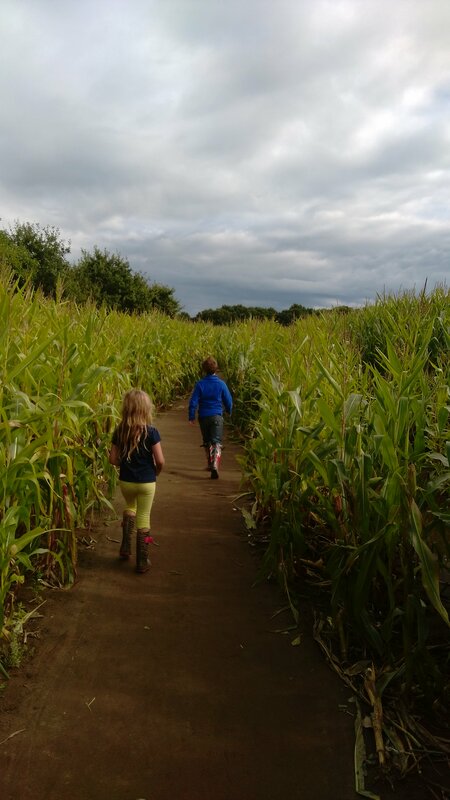 Have a look at the list of the days of with kids below that I have compiled of things to do in Yorkshire, I’ve added in the links to all the places we have reviewed too if you want to know more in detail. Temple Newsam is a beautiful place to take the kids in Leeds. There’s a stately home, cafe and farm and acres to explore. See my full review and photos here. The new inflatable theme park in Beverley, East Yorkshire. Have a look at my review and video here. 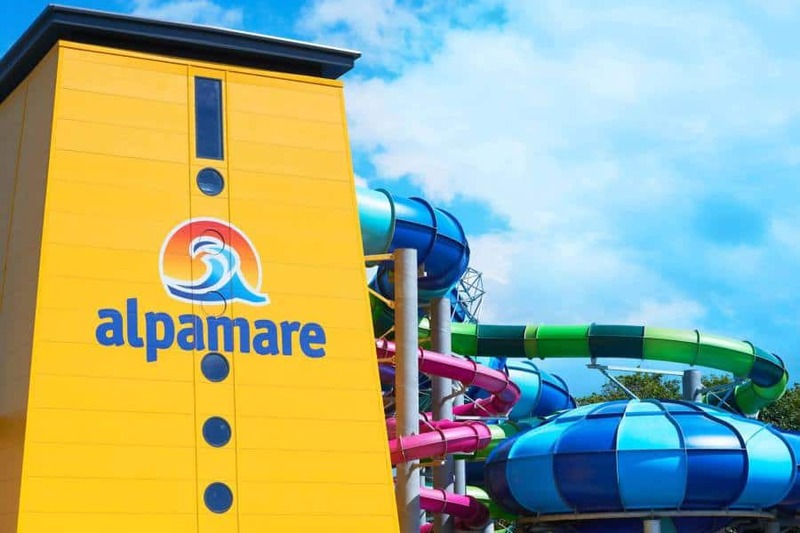 Alpamare is a large waterpark in Scarborough. There are two heated (hot!) outdoor swimming pools, a kids splash area, wave pool and four huge waterslides. Great for the summer or winter as the outside pools are heated to 35 degrees (not too far off hot tub temperatures!). There is a cafe on site too. Ok, this one is at quite a specific time of year, but there are other things to pick at other times of the year too. 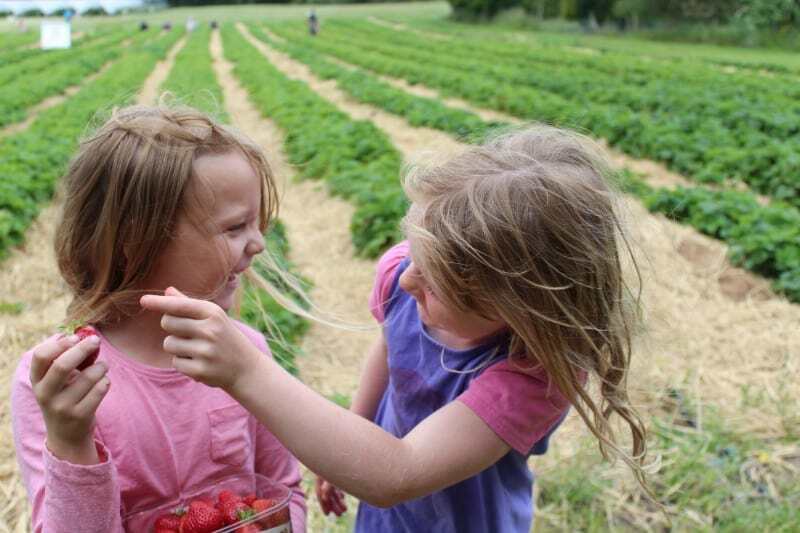 My children love strawberry picking and can happily cost me a fortune with their huge baskets (so watch that!). There are lots of places around Yorkshire for Strawberry picking, and I have made a list for you! If you are looking for things to do in Yorkshire with kids we are spoilt for choice! Yorkshire has many stunning and varied beaches. From Whitby, to Scarborough and Bridlington. Free days out in Yorkshire, family beaches. We have reviewed both Fraisthorpe Beach in the Summer and the Winter and Rock-pooling at Filey Brigg. 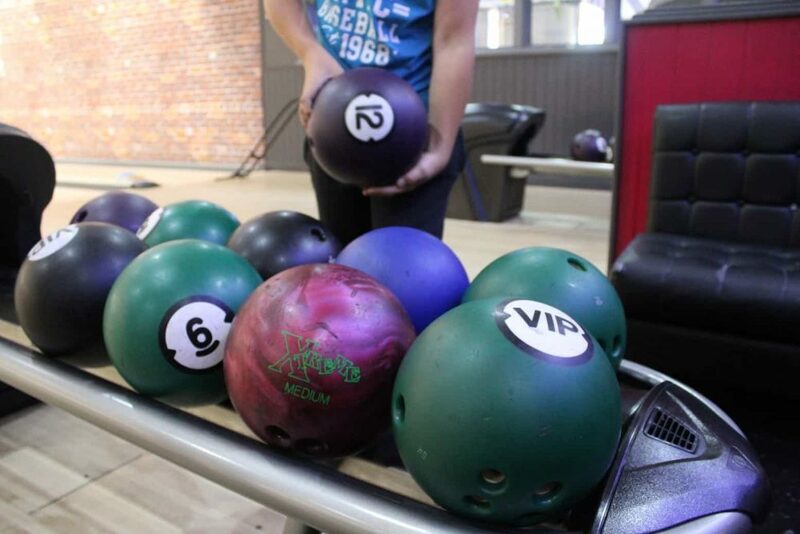 Ten Pin Bowling is always fun and particularly good if the weather is not great! Have a look at our review of the Hollywood Bowl in Leeds. 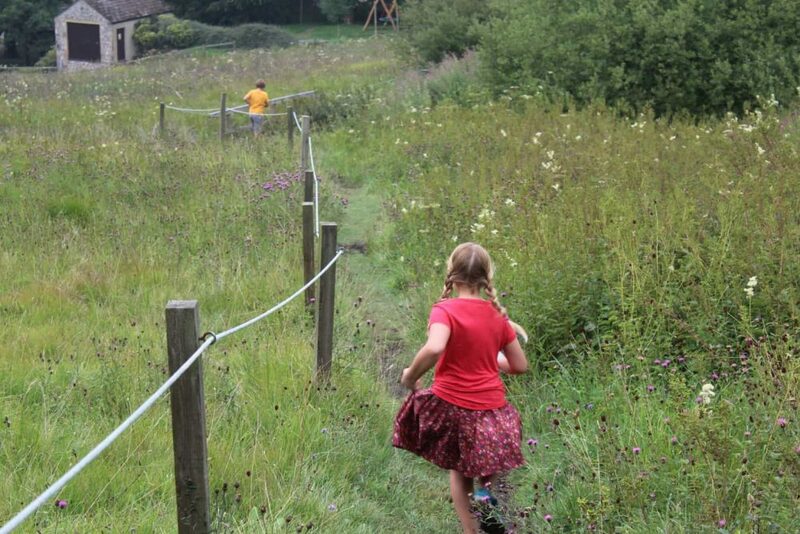 The Kilnsey Park Estate has a nature walk, animals and family fun fishing. Set in the picturesque Yorkshire Dales near the overhanging Kilnsey Crag. If you are looking for a fun, scary and entertaining time, consider York Dungeon. 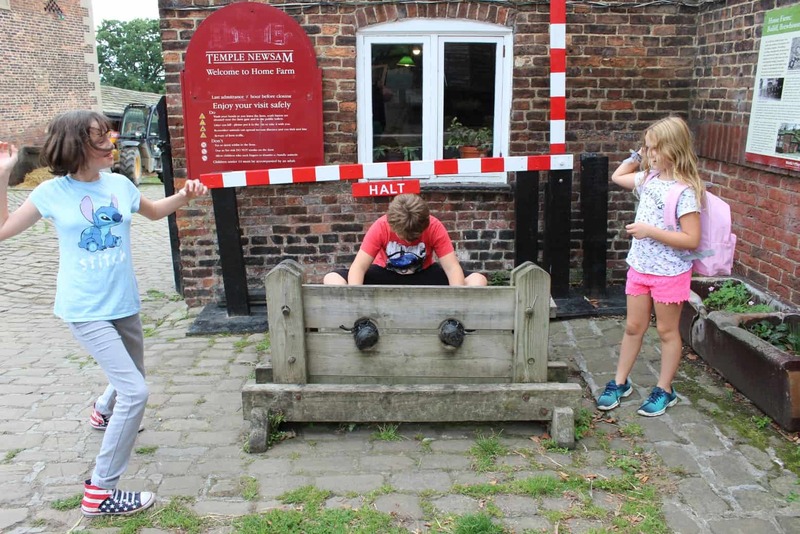 Right in the centre of York, it’s perfect for older kids and teens (and adults of course!). Have a look at my review of York Dungeon here. 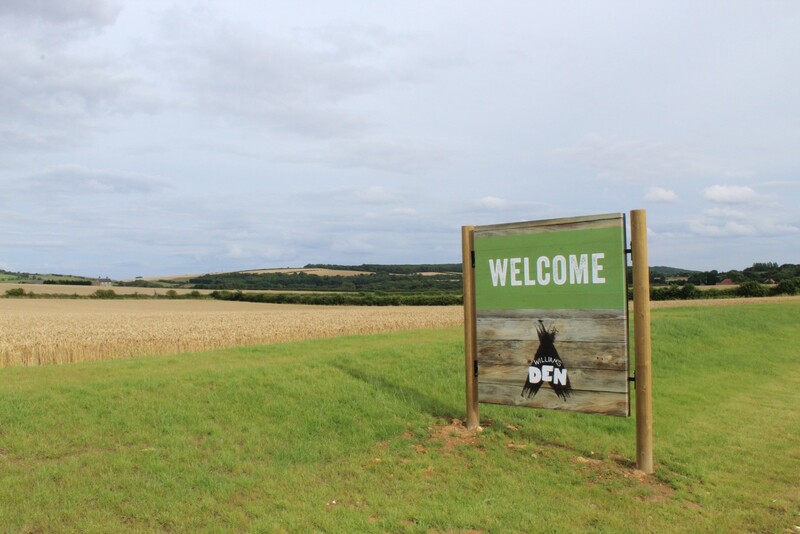 William’s Den includes a 475sqm play barn and extensive outdoor play – including a 50metre zip wire, den making area and ‘mountains and molehills’ space for kids to run, jump and roll around freely. It’s fab and completely worth a visit. Have a look at my William’s Den review and video here. Looking for things to do in Yorkshire with toddlers? 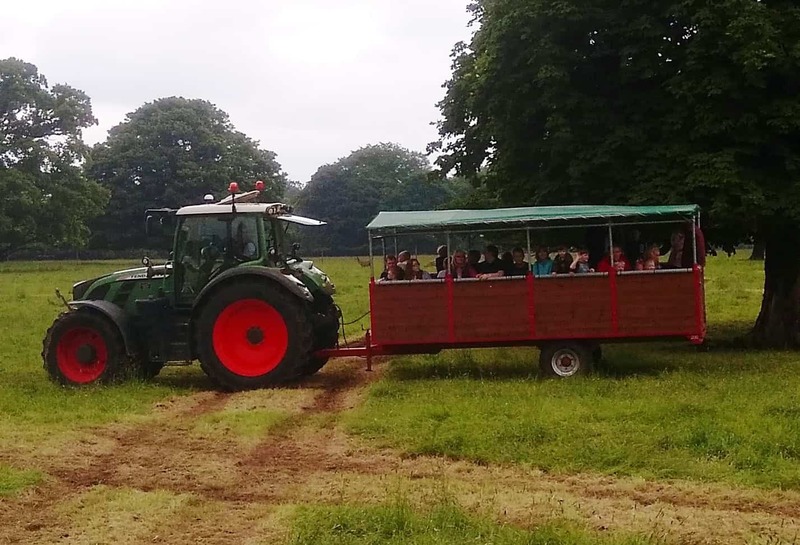 Let off steam in the fields, go wild in the adventure playground, have fun in the sand pit or ride on the tractors and play with the inflatables. We predict two things: you won’t be bored and you’ll sleep well tonight! 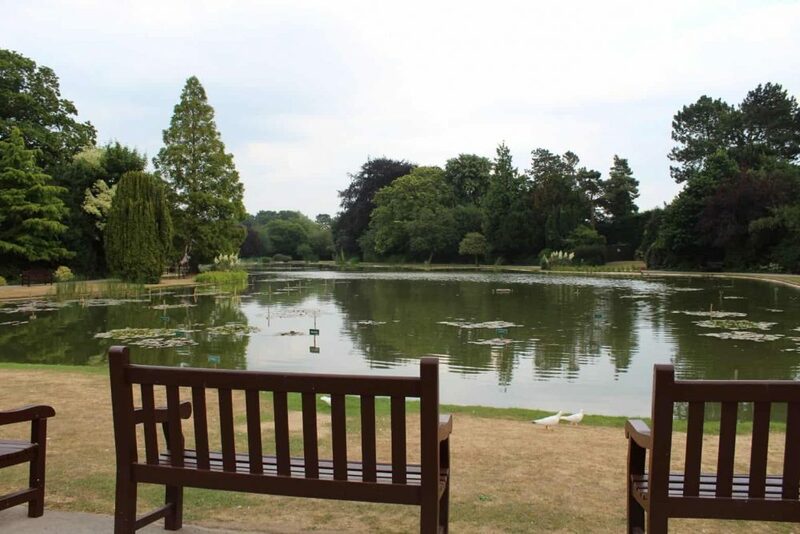 Lovely peaceful gardens set around a large lake with water lillies and carp that you can feed. They have a children’s playground, cafe and run children’s activity days throughout the summer. 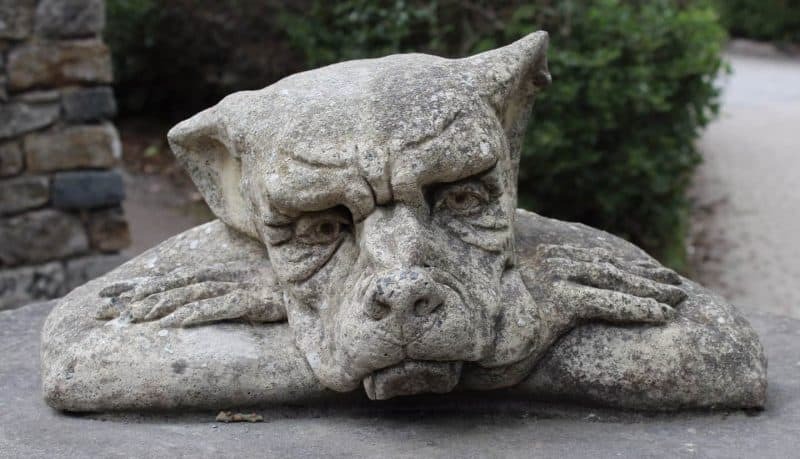 The Forbidden Corner has to be one of my favourite places in the world, for it’s wonderful quirkiness! It combines mazes and puzzles into something really unique. See our review of The Forbidden Corner here. North Yorkshire Moors Railway is a wonderful heritage railway. Used in the Harry Potter films and the Heartbeat series, NYMR is a fab day out. We reviewed NYMR here. Harewood sits in the heart of Yorkshire and is one of the Treasure Houses of England. The House was built in the 18th century and has art collections to rival the finest in Britain. For families there is an amazing adventure playground for slightly older children and penguins to watch being fed! Open every weekend & daily during school holidays. Spend a day out with Yorkshire’s Great Little Steam Trains! 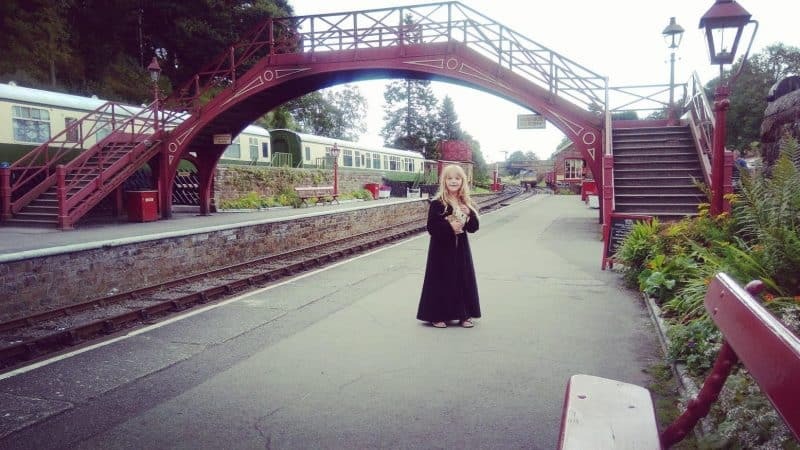 With a fleet of unique steam and diesel locomotives, adventure playgrounds, picnic areas, a miniature railway, cafe, tea room and the glorious scenery of the South Pennine Foothills, it really is a fun day for all the family. Special Events take place throughout the year – see www.kirkleeslightrailway.com for more info. We love a day in a park- just pack a picnic and have a lovely relaxed and free day out. 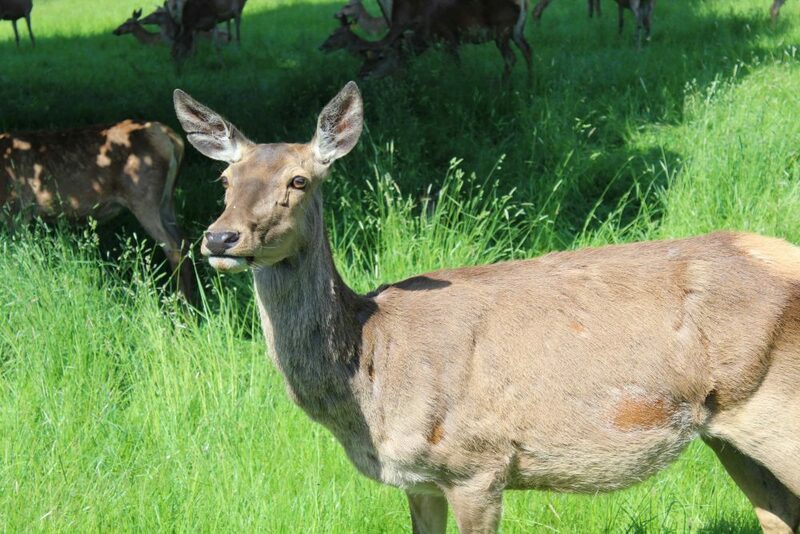 We have reviewed the park at Dunnington, near York and Jubilee Park in Fangfoss, near York. 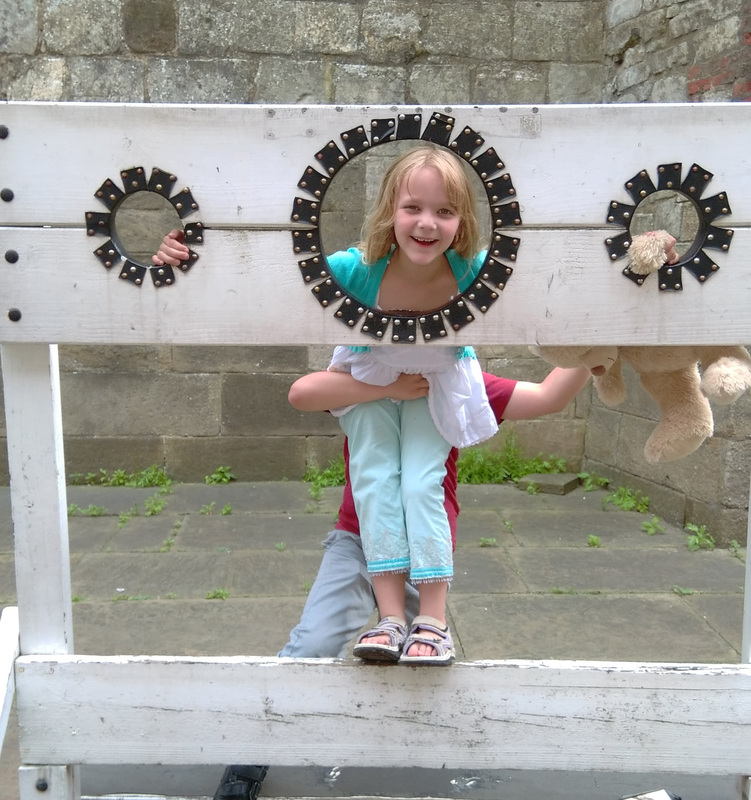 One of the many free days out with kids Yorkshire. 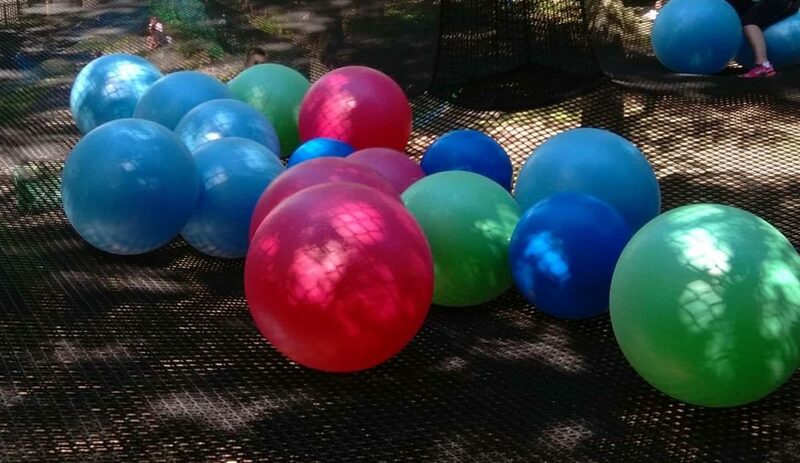 If you are looking for things to do with kids in yorkshire, then this is a brilliant place for them to bounce and let off steam to their hearts content! 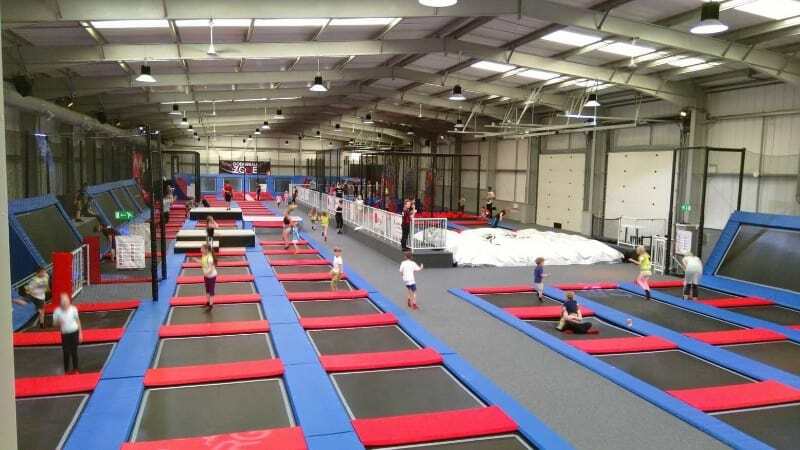 See our review of Energi Trampoline Park, York here. Treetop Nets near Ripon is unlike anything you have done before, it’s a truly fab energetic day out! With nets strung high in the trees! See our review of Treetop Nets, Ripon here. 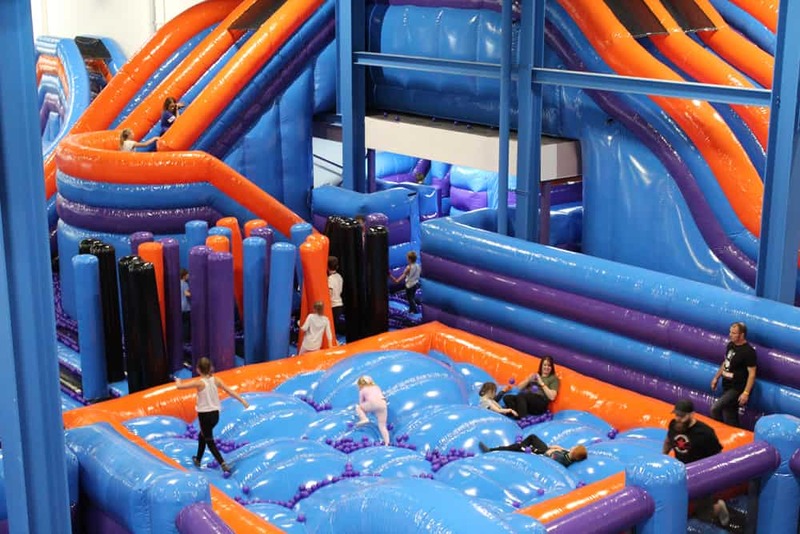 There is loads to do at Xscape Castleford from the cinema, to crazy gold, skiing, laser quest and softplay. If you are looking for things to do with kids West Yorkshire – have a look at our review of Xscape Castleford. Lightwater Valley – a fantastic family friendly theme park in Yorkshire. 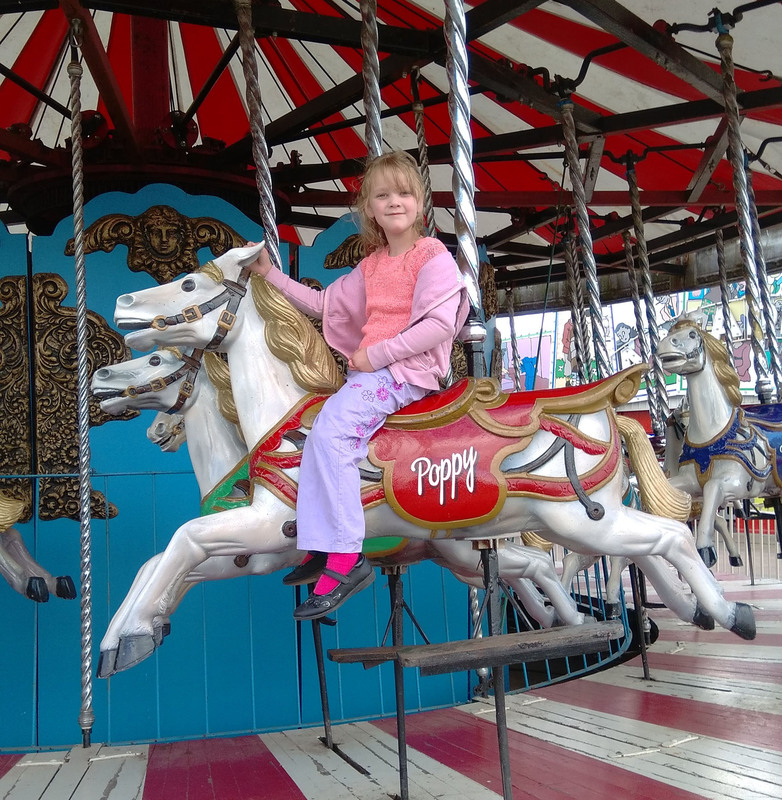 Have a look at our review of Lightwater Valley (Frightwater Valley!) at Halloween. Flamingo Land – another brilliant family friendly theme park on our list of things to do in Yorkshire. Have a look at our review of Flamingo Land with Younger Kids and our review of Flamingo Land at Halloween. 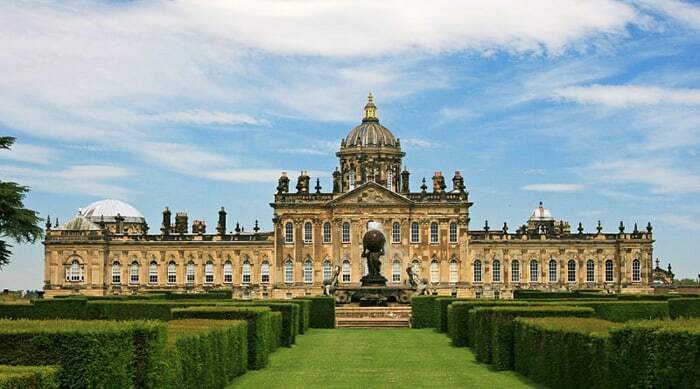 Castle Howard is a fab place to visit at any time of year and a brilliant place to go in Yorkshire with kids. They have seasonal activities all year round. 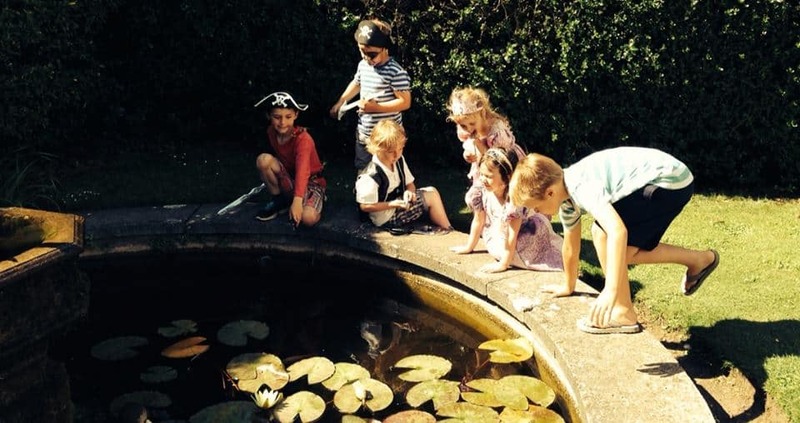 Creepy Crawlies is a huge softplay and outdoor adventure playground in York. See our review of Creepy Crawlies here. 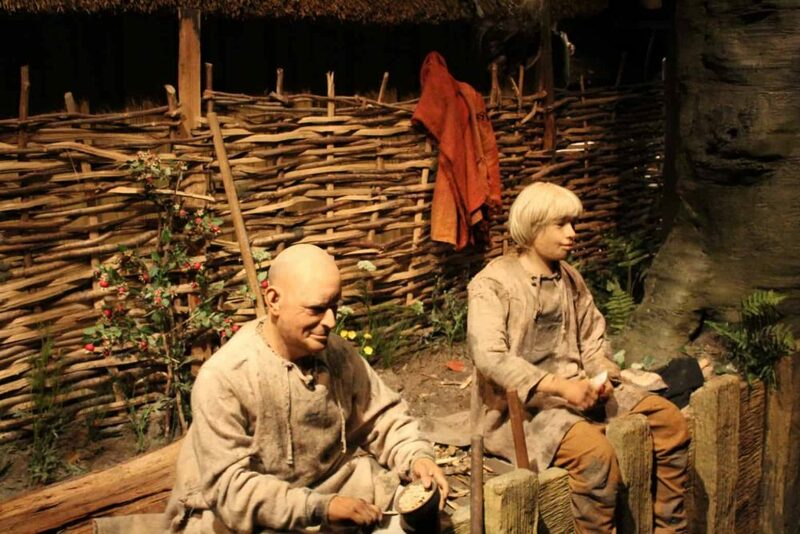 Another one of our brilliant free family days out. From steam rides to storytelling, we’ve got lots of hands-on fun for the whole family. Sledmere House is not too far from where we live, so we are regular visitors. The Gardens and Grounds, Café and Farm Shop will be open for you to have a wander and pick up some tasty treats. 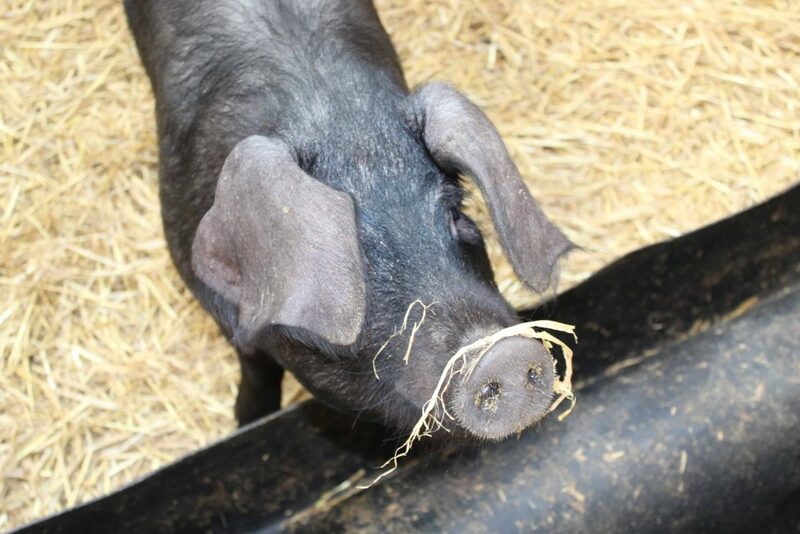 Piglets Adventure Farm Park is a fabulous place to visit just outside York. Burton Agnes Hall is a hidden gem. A large Stately home, woodland walk, maze, garden games, cafe and farm shop. 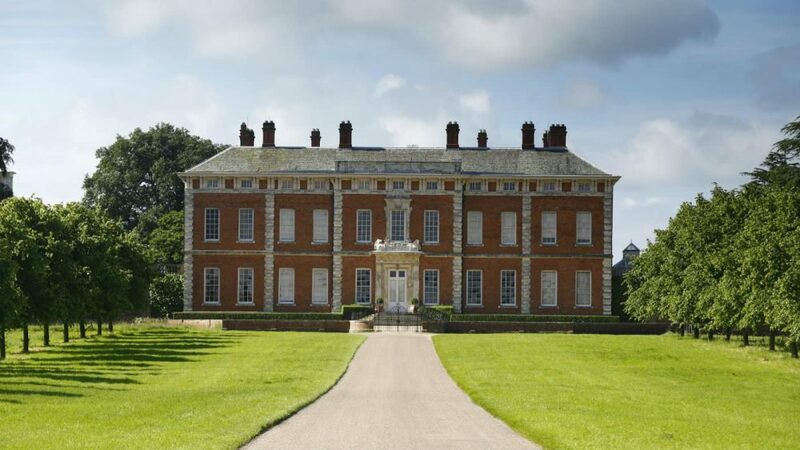 Have a look at our review of Burton Agnes Hall. We love the maze and treehouse at RHS Harlow Carr. I’ll be reviewing it at some point soon! Stockeld Park is one of my favourite family days out in Yorkshire. 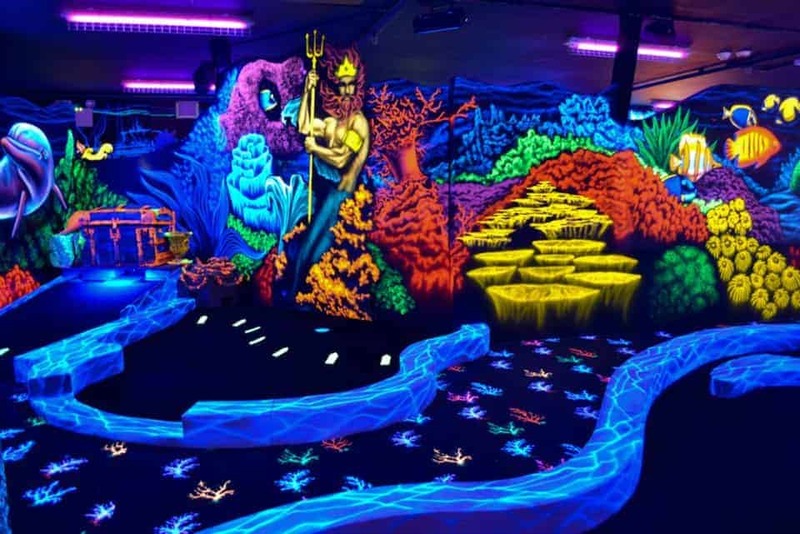 There will be a roller or ice rink as well as the Enchanted Forest and the Maze. The Indoor play area will also be in place to let the kids play while you have a cuppa. Have a look at our reviews of Stockeld Park in Summer and Stockeld Park’s Christmas Adventure. I’m including this one as it’s somewhere I have always wanted to visit but never quite managed. Lots of Herriot related memorabilia, as well as the restored 1940’s house, and a ‘farrier’s workshop’. I am secretly hoping Miss H will become a vet one day! 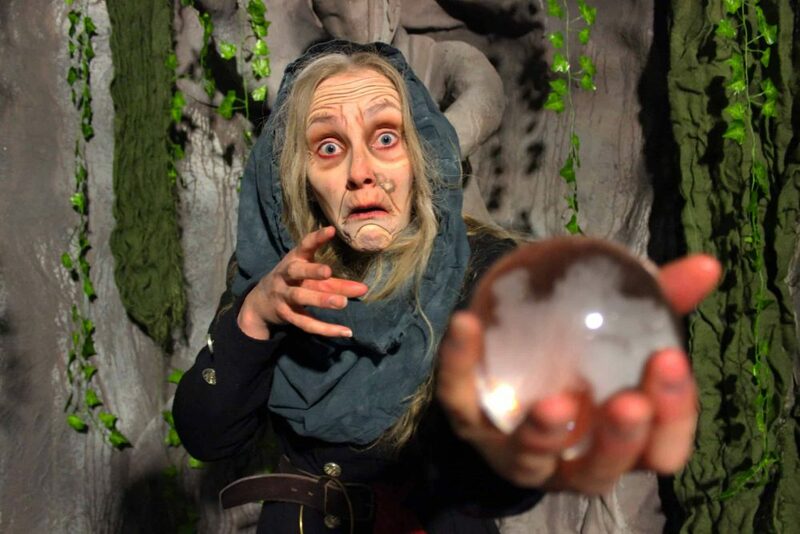 I love the look of Mother Shipton’s Cave, with it’s famous prophetess and petrifying well. 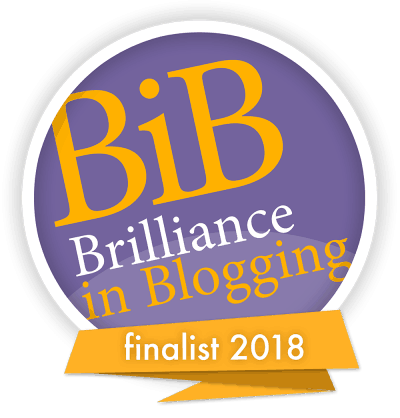 It’s on my ‘must visit’ list to review this year! A varied collection of both Outdoor and Indoor Feeding Areas where you can see such as lambs, sheep, goats, calves, cattle, pigs, ponies, donkeys, horses, llamas, alpacas, wallabies, albino wallabies, deer, ducks, geese, hens, peacocks, rabbits and guinea pigs – and playgrounds to boot! The more I read about this fabulous sounding adventure farm park, the more I want to go! 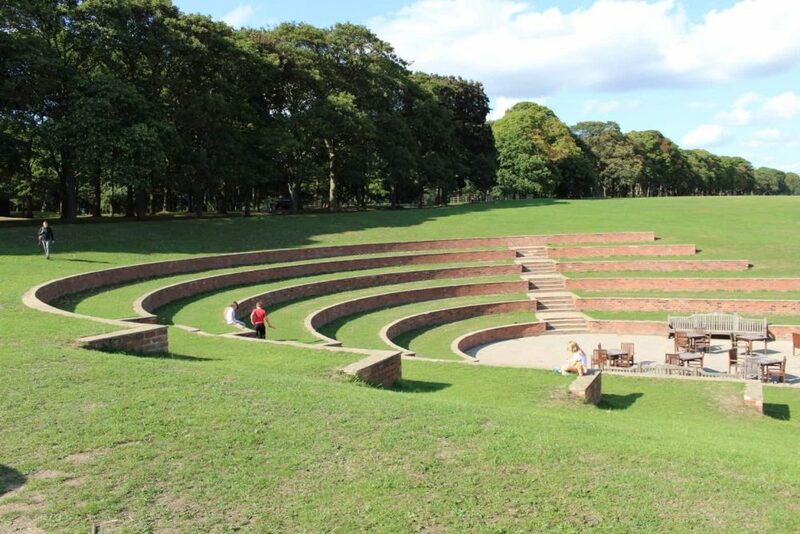 Another fab looking farm park that we are hoping to visit this year! Fantastic aquarium in the heart of Hull. (Not bad cafe too!). 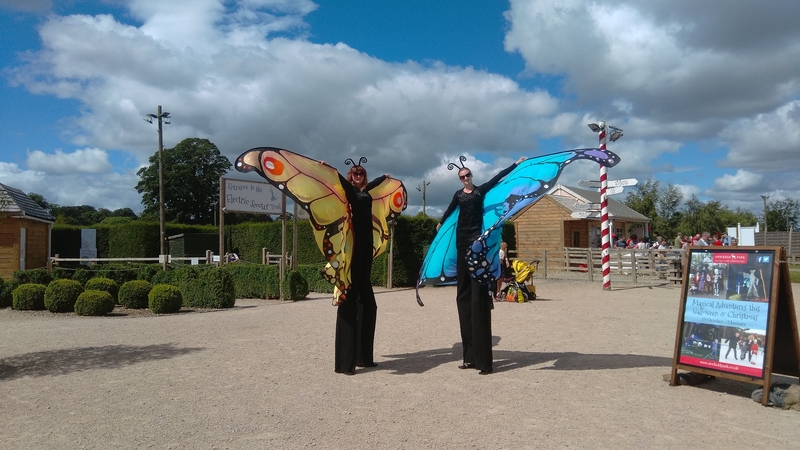 Also look at my other round ups for different times of the year, Things to do in Yorkshire with the kids at February half term, Easter, May half term, Summer Holidays, October half term and at Christmas. Rain stopping play? Have a look at my list of ideas for places to go on a rainy day in Yorkshire. 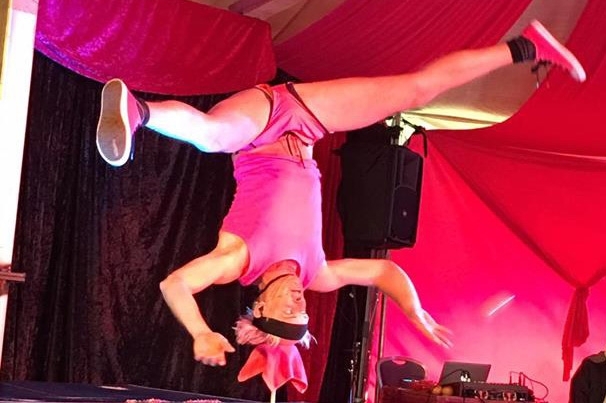 Also, do have a look at my Things to do with Kids in Manchester and in Guildford posts. I’m sure this was a great resource for frazzled parents over the summer holidays. What a fantastic round up! So many great days out to be had. Some I’d forgotten about, some I’d forgotten existed and others we visit often. One of our favourites is The Deep. Mostly because you pay once and then can return as much as you like in one year for free. We visited York this year too and had a lovely weekend away. I do love Yorkshire….especially the coast.